A free introductory session is offered the week prior to classes for those of you who are booked in or are considering booking. 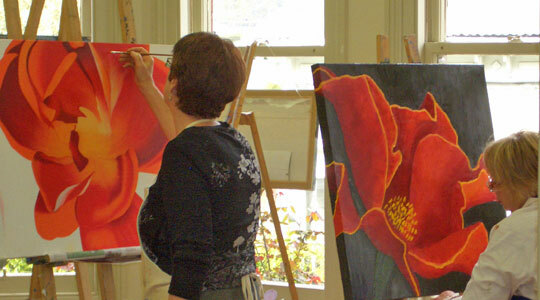 Following that, there will be an opportunity to come back and individually set up your painting so that when you do start, you will be ready to put brush to canvas in your first class! These classes will fill quickly so it is important to book in ASAP. Classes are restricted to only 6 painters and are 3 1/2 hours in the day and 3 hours in the evening. 5 week blocks run consectutively from Jan - Dec with breaks around public holidays.